Every October and November in the United States, we find ourselves once again in a season of false and misleading stories about European settlers and Native Americans. First there is the story that Columbus discovered America in 1492. (Later there is the story about the Pilgrims and the Indians at the first Thanksgiving.) It is astonishing to me, after all the work done by Native activists and their allies in the last forty years, that these stories keep returning unchanged year after year. In 1991, the organization Rethinking Schools published Rethinking Columbus⁠, an excellent resource that pointed out for educators the fallacies of the stories we are told and offered practical alternatives. Certainly in some places a lot has changed. But there has also been a backlash. Rethinking Columbus was one of the books banned from Arizona school systems in 2012. In 1452, Pope Nicholas V issued a papal bull declaring that the Catholic king of Portugal had the right to conquer any Muslim and pagan peoples and enslave them. A few years later he wrote a second letter, declaring all the Christian kings of Europe had the right to take the lands and possessions of any non-Christian people, and keep them in perpetuity. If the pagan inhabitants could be converted to the Christian faith they might be spared, but otherwise they could be enslaved or killed. The Doctrine of Discovery was also later claimed by the king of England in 1496, authorizing English explorers to seize any lands not already discovered by other Christian nations. Responding to the requests of Indigenous peoples, several religious denominations have passed resolutions to repudiate the Doctrine of Discovery. Those of which I am aware are Episcopalians in 2009, Unitarian Universalists and the Society of Friends in 2012, and the United Church of Christ in 2013. These resolutions are a first step toward reckoning with this history of stolen lands and stolen children. But let’s go back to Columbus. The stories of his “discovery” lead to another distortion of our European history in these lands. This is the idea that the Europeans conquered the Native nations by their superior weaponry and military might. This holds a partial truth. The Europeans did try to conquer every Indigenous nation they encountered. But it would not have been possible without another factor. Between 1492 and 1650, possibly ninety percent of the Indigenous people of the Americas were killed by plague and other European diseases to which they had no immunity. The Europeans, sometimes unwittingly but often purposefully, brought an unprecedented apocalypse to this land. Thanksgiving is a holiday that always fills me with mixed feelings. Gratitude is wonderful, and getting together with family and friends can be a blessing. But I know that the stories we celebrate are white-washed versions of a history that has brought devastation to so many. I always remember that many Indigenous people call this the Day of Mourning. The only time that foreign immigrants actually brought disease and destruction to this continent was when the English, Spanish, and French came to settle on its shores. Millions of Indigenous peoples died from diseases to which they had no resistance, or were killed in ongoing campaigns by the newcomers to destroy them and their way of life. So while I give many thanks for my life, it feels sacrilegious to give thanks for prosperity that was built on the suffering and death of so many others. But it does illuminate for me, in a social psychological way, the possible roots of our American fear and hatred of foreign immigrants. I wonder if perhaps these feelings are a form of projection from this unacknowledged shadow side of American history. People imagine that new immigrants will bring destruction because the first settlers were the immigrants who did bring destruction. This fear of the foreigner never proved realistic with later immigrants—with the Irish, the Italian, the Chinese, the German, the Jewish, the Puerto Rican, and so many others. Despite being hated and derided, they eventually became a part of the fabric of American life. Perhaps there is a link between facing more honestly our own shadowed and genocidal history, and letting go of our fear of the other. Hard thoughts for a quiet holiday at home. But so many are cold and hungry and desperately seeking a safe harbor. And the tide of xenophobia and racism in our country seems to be rising out of control. Let’s help our friends and neighbors to keep their heads about them. I believe that when we are lucky enough to have shelter and food and clothing and safety, we are responsible for sharing what we can with those who are in need. To me, that is what thanksgiving should be all about. It is an amazing thing to feel safe in our homes and communities. A while back I was reading a novel about the Lost Boys of Sudan, What Is the What, by Dave Eggers. The story stirred up questions in my heart. What would it feel like, I wondered, to have marauders showing up in your village, shooting people, burning houses, assaulting women and children? What would it feel like to lose your whole family, and your whole village? 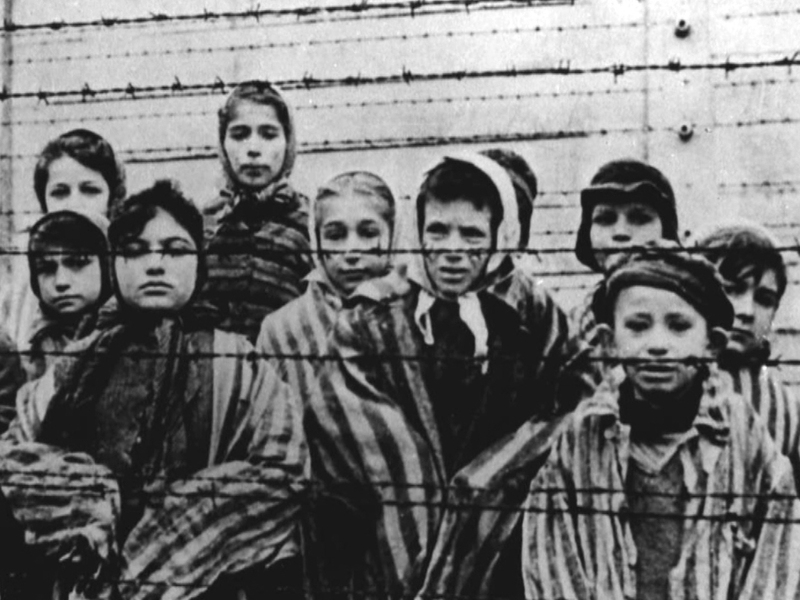 When the death camps of the Nazis were discovered after World War Two, people swore, “Never again!” Yet, genocide continues in our day. Bosnia, Rwanda, southern Sudan, Darfur. We asked ourselves, “How could someone fly a plane into a building with thousands of innocent people inside? How could someone massacre thousands of women and children of their own country?” Elie Wiesel, a survivor of Auschwitz, spoke of the incredulity of his village of Sighet in Transylvania in the months leading up to their deportation to the camps. One man of the village had been taken away earlier and managed to escape, returning with terrible news. The Gestapo had forced the Jewish prisoners to dig huge graves, and then slaughtered the prisoners. “Each one had to go up to the hole and present his neck.” The villagers refused to believe the man. How could such a thing even be imagined? Right up to the moment when they themselves arrived at Birkenau, they clung to the impossibility of such a horror. Most of us feel incredulous in the face of evil. I have never had to face personally the horrors described by Wiesel or by the Lost Boys of Sudan. Am I willing to listen to their stories and the stories of others who have encountered evil? Am I willing to let go of my own incredulity to face up to the reality of evil? And what about those of us do experience such horror? How do we make sense of evil in the world? Where does it come from, and what can we do about it? Elie Wiesel quotes are from Night.